"DK Eyewitness Top 10 Travel Guide: Tokyo" will lead you straight to the very best of this cosmopolitan city. Whether you're looking to visit the historic temples and shrines, experience the restaurants or visit one of the best hot spring baths, this guide is your perfect pocket-sized companion. Rely on dozens of Top 10 lists - from the Top 10 festivals and events to the Top 10 ways to unwind and the Top 10 historic buildings; there's even a list of the Top 10 things to avoid! The guide is divided by area, covering all the city's highlights and packed with restaurant and hotel reviews. 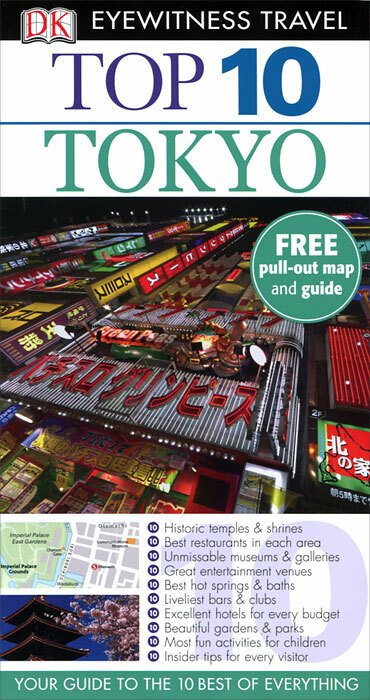 Plus, there's all the insider knowledge every visitor needs to explore every corner of Tokyo effortlessly in the "DK Eyewitness Top 10 Travel Guide: Tokyo" and its free pull-out map. "DK Eyewitness Top 10 Travel Guide: Tokyo" shows you what others only tell you.